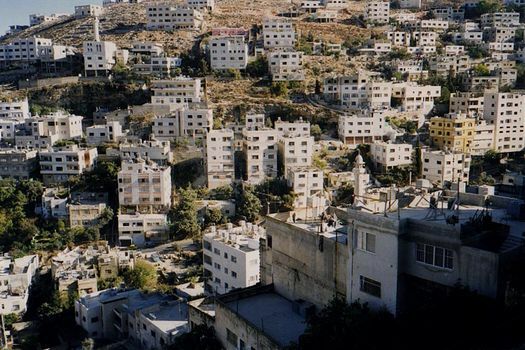 Like Ramalla, Bethlehem, and Hebron, Nablus has grown immensely since the 1930s, but the additions of the last fifty years have not added much, if anything, that is beautiful or even interesting. 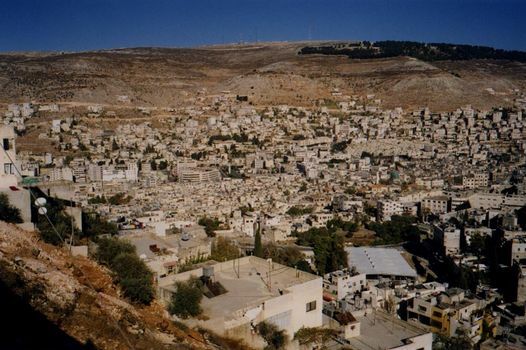 A view of Nablus taken from the slopes of Mt. 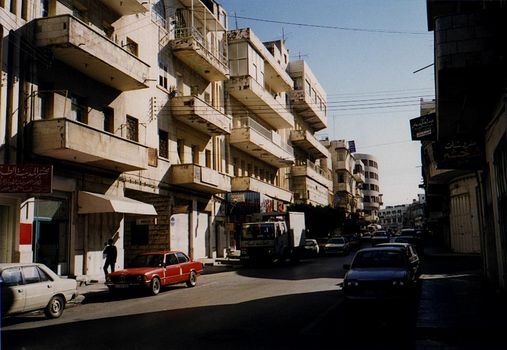 Gerizim northward toward Mt. Ebal. The Old City is the flattish patch in the center. Taken from the same site as the previous picture, but this time of the apartment buildings that have spread up the slope of Mt. Gerizim. 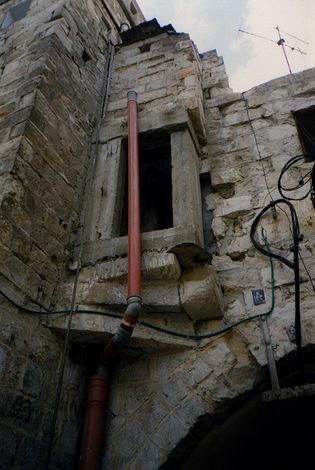 Imposing controls in the name of historic preservation won't come easily to Nablus, even though its future prosperity would almost certainly be greater if the historic character of the city could be preserved. 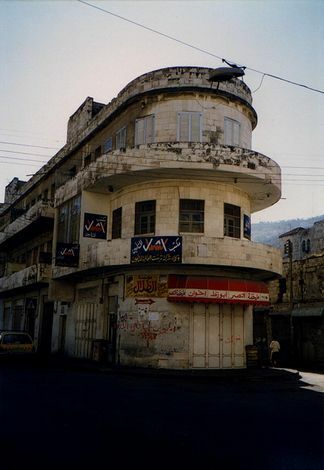 The business center was mostly built during the Jordanian period (1949-67). A few buildings from that era reflect somebody's interest in style.